Mass graves at Titanyen a northern Settlement of Port Au Prince. 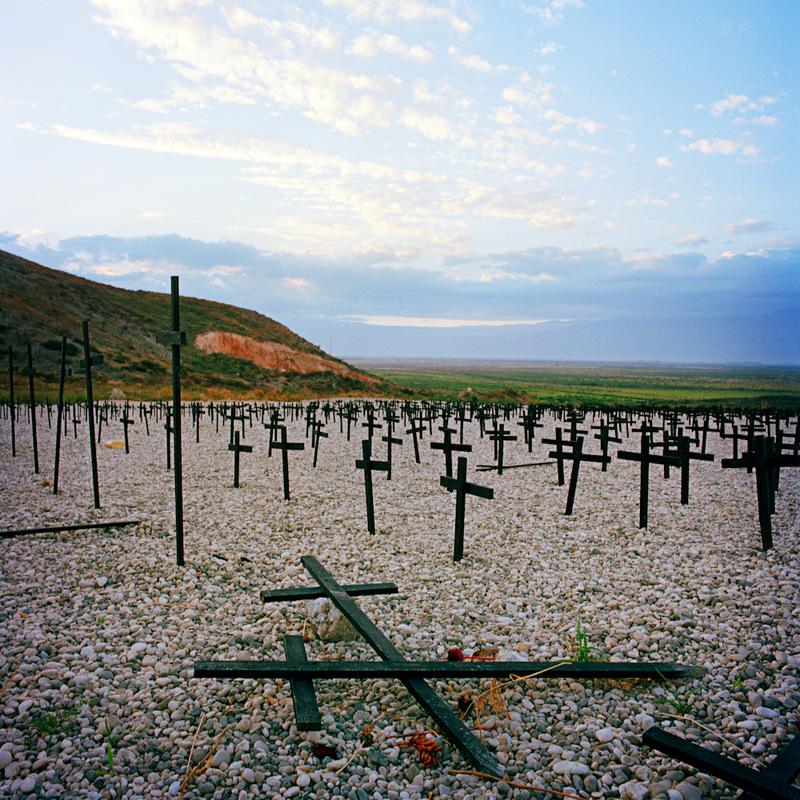 When local morgues were overwhelmed after the earthquake fields outside this settlement were designated for the unceremonious mass burial of an estimated 200,000 Haitians. Crosses were placed at the grave site as part of the 1st anniversary ceremonies.